At Precision Color, we offer a complete range of custom vinyl banners in any size, shape or color. If you're looking for a custom banner: clip art, multi-colored text, company logos, full-color prints, etc., whatever your needs, we can help! 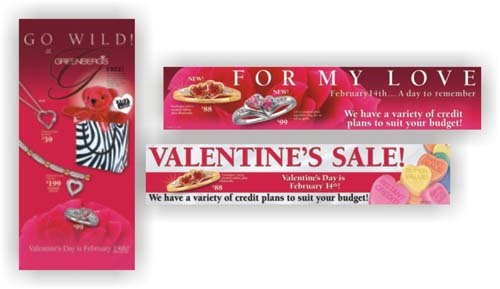 And best of all, our full-color printed banners start at just $7.95 per square foot. And this includes hemming and grommets! For special requests on different types of media, please feel free to contact one of our customer service representatives.